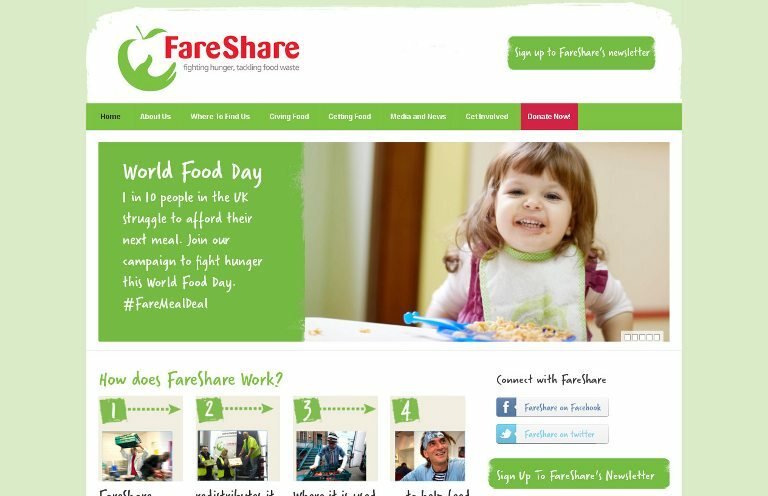 Fueled by the belief that no food should be wasted, FareShare was established in the United Kingdom in 1994 and its model has since been replicated internationally. Originally operating as an initiative run by Crisis, a charity battling homelessness, the project was spun-off as an independent organization in 2004. *Simultaneously tackling waste and hunger, FareShare repurposes surplus goods from the food and beverage industry and provides them to non-profit organizations working with disadvantaged local communities. *FareShare has a national network of over 700 charities receiving food, enabling these grassroots organizations to redistribute their funds toward other program costs. Moving beyond simply providing nutritional wellbeing, their “Eat Well, Live Well” program acts as a means for clients to gain employability training and certifications. The organization is using its position within the food industry to provide training modules for National Vocation Qualifications in warehousing, distribution, and storage. Complementing these efforts to relieve food poverty, a further initiative, the “Eat Well Road Show,” *provides education for FareShare community members regarding basic food hygiene, nutritional values and practical cooking skills. *In 2011, the organization’s food redistribution contributed more than 8.6 million meals to individuals in need: over 35,000 people were fed daily. Moving forward, FareShare hopes to triple its impact redistributing 20,000 tones of food per year.